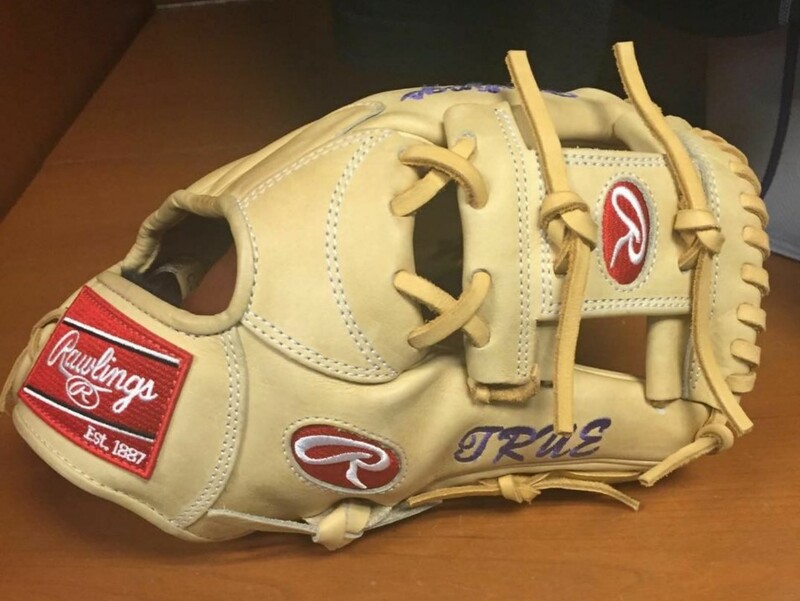 Trevor Story is a WPW follower, so we got these images straight from the source (Trevor Story). He wears a Rawling PROS12IC glove with Heart of the Hide leather, which is unusual for a glove that has “S” in the model number, but it does happen. 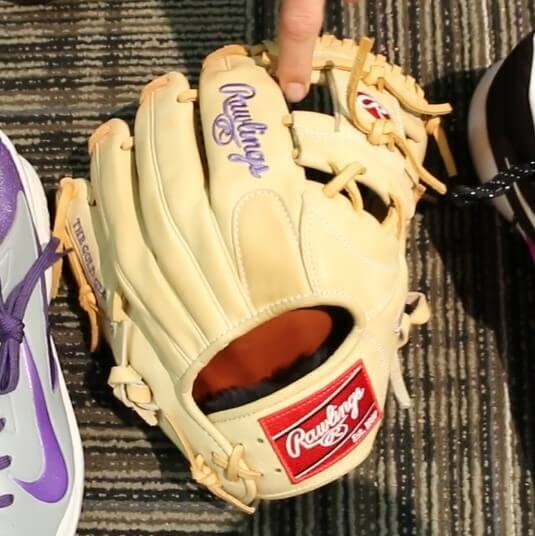 Story’s glove is an 11.25″ I-Web. Though Story wears a black laced and embroidered glove as his gamer, the version in the closeups is his future gamer and that’s what he sent through for us. 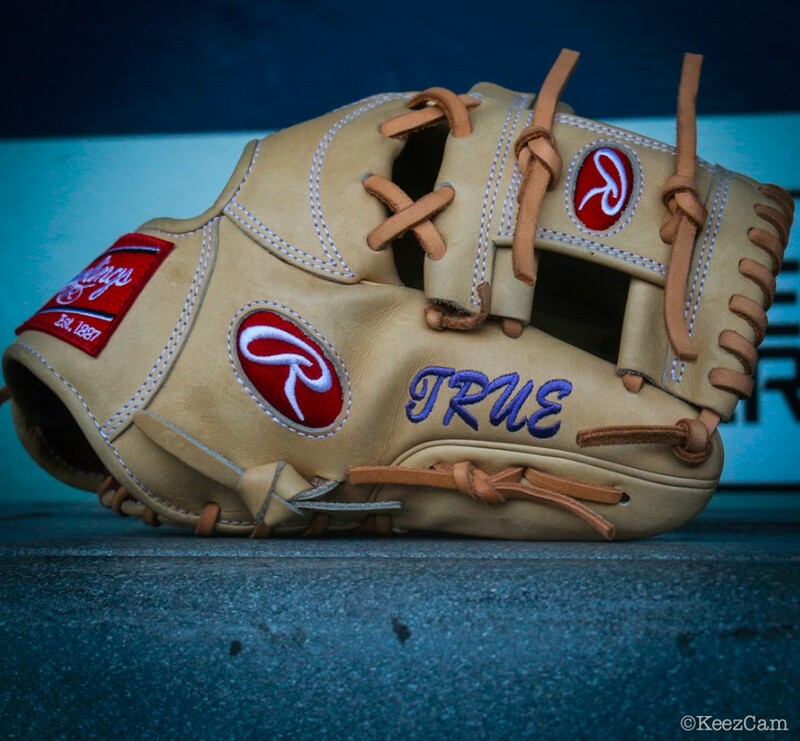 Get Story’s glove at the link and follow him at @trevv4. 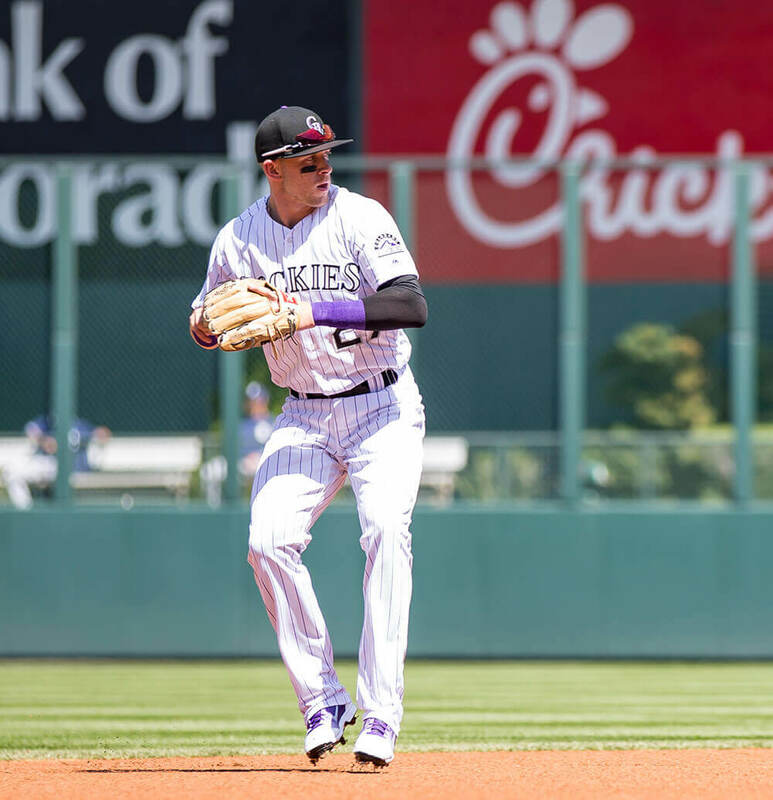 Categories: Trevor Story, Gear, Glove, Colorado Rockies, Shortstop.